One of the biggest video games coming next year no doubt is Ubisoft’s Far Cry 5, the latest instalment in the long-running first-person shooter series. And there is no question that many fans of the franchise are waiting with bated breath for this latest Far Cry game, despite the fact that its predecessor Far Cry Primal did not exactly set the world alight last year, in part due to its not so great setting, as the game eschewed modern weapons and was set in the Stone Age. 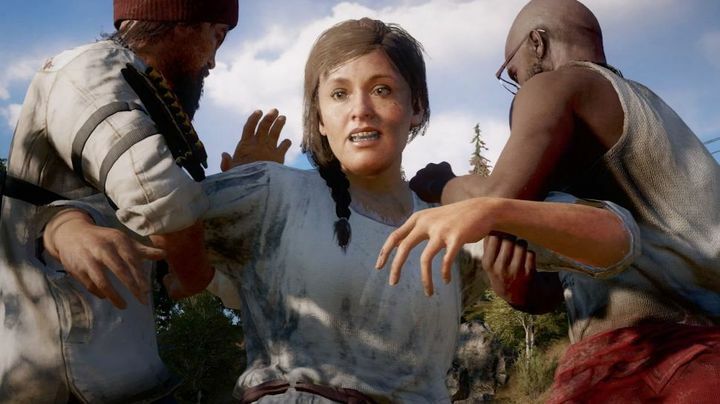 Nonetheless, Far Cry 5 has drawn plenty of interest from first-person shooter fans due to its western setting (the US state of Montana no less), the fact it deals with religious themes (you will be taking on an apocalyptic cult here) and its gameplay innovations (series’ staples like the radio towers are gone in this latest instalment of the Far Cry series). However, those eager to play Far Cry 5 might not have been so pleased with the fact that they will have to wait another month to do so, as the game’s release date has been postponed to March 27, 2018. The reasons for this have to do with giving the team behind the game more development time to improve the game, something which Ubisoft says helped Assassin’s Creed Origins be a success this year. “Taking more time with Assassin’s Creed Origins enabled our talented development team to fully express their creative vision. As expected, this had a very positive impact on the game’s quality and largely participated to its commercial success”, said the French company in a press release. But no matter how much this may annoy some, it’s not such a big deal having to wait a little longer in order to play a game that could end up being one of the best releases of 2018, and hopefully even be a match for 2012’s Far Cry 3, arguably the best game in the series to date.